Sometimes when a person nears death and stares into the face of eternity, he or she becomes more religious or makes moral changes, perhaps hoping to influence his or her future beyond the grave. That seems to have been the case with Roman Emperor Galerius when he issued an Edict of Toleration on this day, April 30, 311. 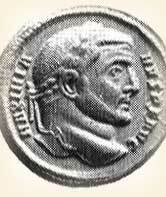 Galerius was the son of a Greek shepherd who became a Roman soldier. 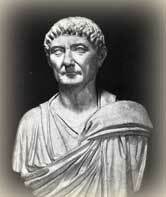 He rose in power and authority to become a junior ruler with Diocletian. 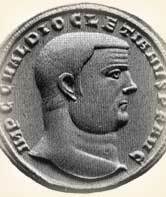 When Emperor Diocletian began his great persecution of Christians in 303, Galerius instigated the action, convincing Diocletian that Christians were dangerous enemies of the empire. Galerius himself issued another edict in 304 requiring everyone in the empire to sacrifice to the gods of the empire on pain of death or forced labor. Persecutors imprisoned churchmen, destroyed precious Bible manuscripts, and executed hundreds of Christians. Then he became ill. A Christian writer named Lactantius said that Galerius' body rotted and was eaten by maggots while he writhed in agony. Apparently Galerius' conscience connected his persecution of Christians with his present misery. He seems to have seen his illness as a judgment from the Christian God. At any rate, his edict mentioned only Christians. The edict began by justifying his murder. "Amongst our other measures for the advantage of the Empire, we have hitherto endeavored to bring all things into conformity with the ancient laws and public order of the Romans. We have been especially anxious that even the Christians, who have abandoned the religion of their ancestors, should return to reason." Noting that some Christians had betrayed their faith out of fear while others endured torture, Galerius decided illogically that "we, with our wonted clemency, have judged it wise to extend a pardon even to these men and permit them once more to become Christians and reestablish their places of meeting..."
Galerius added that "...it should be the duty of the Christians, in view of our clemency [mercy], to pray to their god for our welfare, for that of the Empire, and for their own, so that the Empire may remain intact in all its parts, and that they themselves may live safely in their habitations." Prayer seems to be the point of the edict. 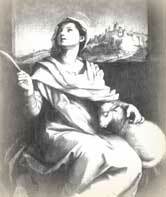 Galerius wanted Christian prayers. Did he hope for a miracle? If so, he was disappointed. He died a week after issuing the edict. "Galerius." Encyclopedia Britannica. Encyclopedia Britannica, Inc., 1967.